With these versatile Plus-sized tires on your ride, you'll be ready for just about anything. From tough XC racing to demanding Enduro courses, the Schwalbe Nobby Nic ADDIX 27.5" Plus MTB Tire is designed for those among us that have a need for speed, regardless of the terrain or the weather. With the innovative ADDIX Speed compound, the Nobby Nic rolls fast over a variety of surfaces without compromising on traction or comfort. A versatile tread design digs into loose, muddy trails and clings onto mossy, rocky outcroppings all the same. Available in 2.8" and 3.0" width. 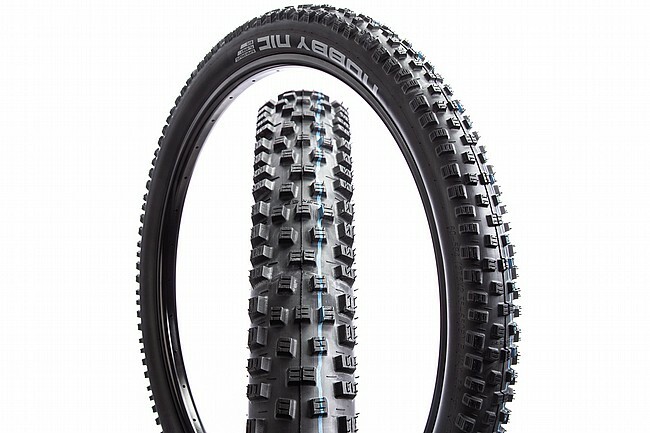 This Schwalbe Nobby Nic ADDIX 27.5 Plus MTB Tire (HS 463) did it all. I say to my self maybe there a better tire out there for my style of riding, but when of spending another $100 on a set tire for a maybe it's not worth it.